Add this to the long list of Trump administration attacks on people of color: the 1033 Program is back in full effect. 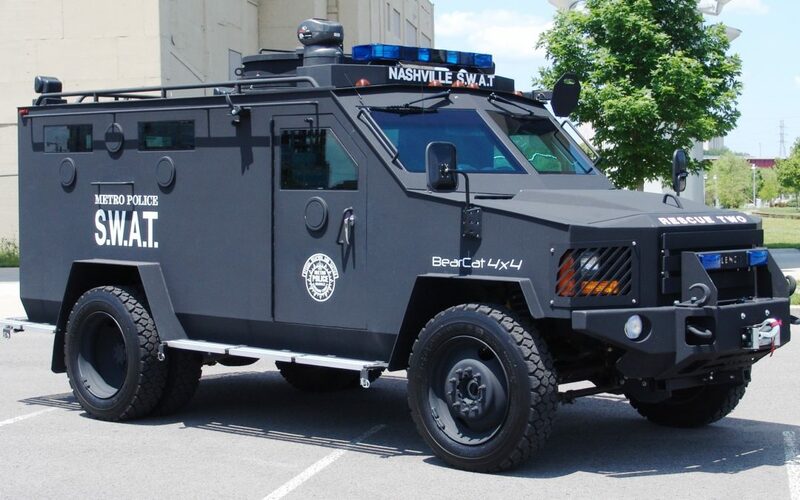 The 1033 Program transfers surplus military equipment from the Defense Department to police departments across the country, and was partially limited by the Obama administration in 2015 after the exceptionally brutal response of police to protesters after the killing of Michael Brown in Ferguson, MO. The 1033 program originated in the 1990s to funnel military equipment to police departments around the country. Since then, the program has transferred more than $6 billion in “excess” military hardware from the Department of Defense to over 8,000 local American law enforcement agencies. With the recent executive order lifting those restrictions, the Trump administration is dictating an increased flow of tanks, weaponized aircraft and vehicles, firearms, ammunition, grenade launchers, and bayonets into police departments across the country. This decision runs counter to the growing movement against the militarization of police and police violence generally. In the fall of 2014, the world watched the streets of Ferguson, MO, where police with tanks, tear gas, and rubber bullets faced down protestors over the death of Michael Brown. The scene was all too familiar to Palestinians living under Israeli military occupation, who looked at these images of tear gas and tanks and sent advice to people in Ferguson, in the long tradition Black-Palestinian mutual solidarity. Ferguson also sparked broad public outrage over the militarization of US police, and ultimately forced President Obama to impose restrictions on the 1033 program. This is exactly what JVP’s Deadly Exchange campaign aims to end. Over the last 15 years, hundreds of U.S. law enforcement officials have traveled to Israel to exchange ideas with Israeli police, military and security services. These exchanges valorize worst practices, bringing paramilitary tactics into U.S. policing and ‘broken windows’ style policing to Israel, to exacerbate the existing crisis of racial profiling, mass surveillance, and deadly uses of force in both countries. From Israel/Palestine to the U.S., guns, tanks, tear gas, and other military-grade equipment are not about keeping communities safe, they are about projecting control. They have no place on our streets. McCoy, Alfred. “Capillaries of Empire: Colonial Pacification and the Origins of US Global Surveillance.” In Hönke, Jana, and Müller Markus-Michael. The global making of policing: postcolonial perspectives. London, Routledge, Taylor & Francis Group, 2016. Kelley, Robin D.G. “Thug Nation: On State Violence and Disposability.” in Camp, Jordan T., and Christina Heatherton. Policing the planet: why the policing crisis led to black lives matter. London, Verso, 2016.